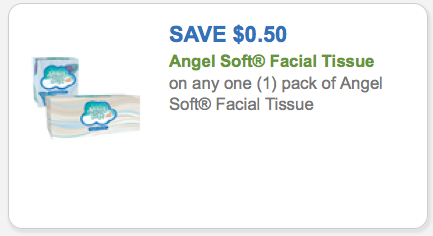 Angel Soft Tissues Only $0.25 at Foodtown! I love LRWC Readers. You all are so helpful! After posting this new Angel Soft Tissue Coupon this morning reader Rocky let us know she spotted these tissues for sale as a “new item” at Foodtown and on sale this week for $1.25 a box making them only $0.25 a box after doubled coupon! Score! Don’t have a Foodtown in your area? Check the Grocery Price Comparison Tool to find the best deals on this product at your local stores. Dockers School Uniforms up to $20 off $75 at Sears! Gerber Organic Coupon – Save $1 – $0.56 at Publix + More Deals!